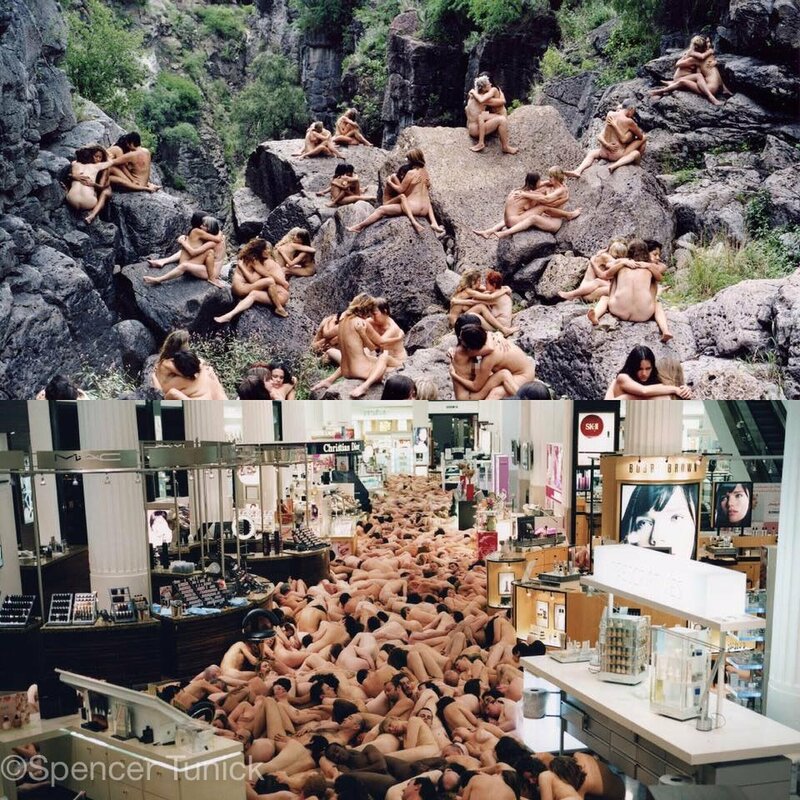 Participate in the first installation of Spencer Tunick and Intramurs in Valencia, Spain! The event will take place on March 30, 2019. The artist and photographer Spencer Tunick, internationally known for his great creations in which he presents thousands of people naked, painted or with accessories in public spaces, will visit Valencia to delight us with a new project. Spencer Tunick invites residents in Valencia, as well as other cities to enjoy this unique participatory art event. In exchange for taking part each participant will be given an exclusive and limited edition photograph taken on March 30, 2019. 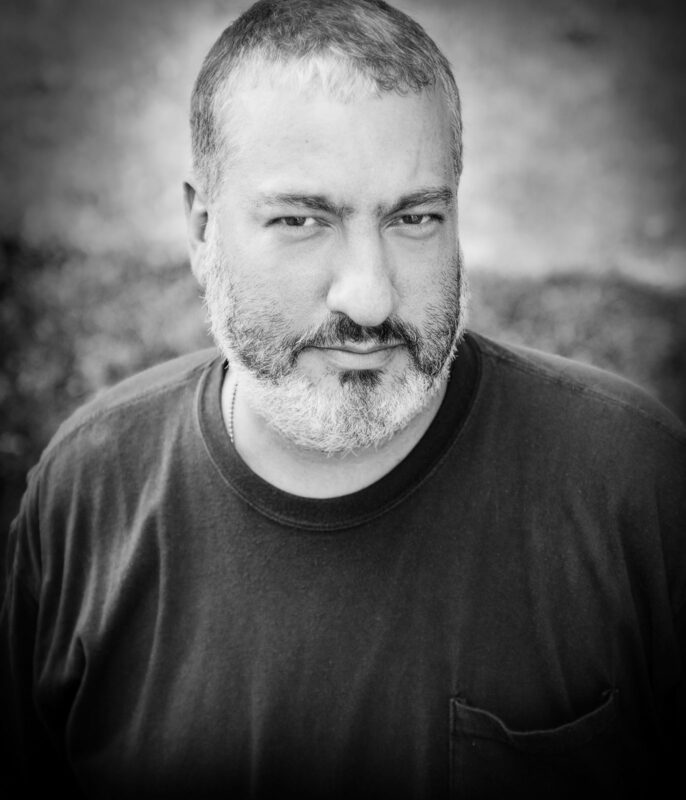 Spencer Tunick will become a key artist of this new Intramurs edition. Over the course of one of the days of the festival, he will conduct an artistic installation which will summon over 3,000 people, who will undress to walk the streets of Valencia, posing with their naked bodies under the attentive gaze and firm voice of the North-American photographer. Spencer photography can be understood as an expression under the emblem of the last edition of Intramurs # Atópic, since the city is portrayed as a dermis over which a multitude of pluricelular beings proliferate, anonymous bodies, naked and barefoot. The skin contact with asphalt creates an authentic atopic reaction at an urban level. In his photographs, the unprotected multitudes, occupying public spaces, are arranged in artistic formations that generate a tension in the viewer. His art opens the debate on the dichotomy between the public and the private, the forbidden and the tolerated, the immoral and the moral, the personal and the collective. Yet, this work goes beyond taking a photograph, his true task as an artist coming close to the epic, as it includes summoning thousands of people who undress at six in the morning, paint the skin of the other and put themselves at Spencer’s service like a large, anonymous human mass. The feat, however, is not only to get a horde of bodies ready to show off their individual and collective vulnerability, but also to tenaciously direct them to achieve a distinct disposition between these bodies and the space. Spencer acts as one of those great directors of mute film blockbusters. He is a D. W. Griffith directing the extras of Intolerance among the Babylonian Hollywood sets. His energy is contagious. And, when the contagion occours, photography conveys genuin visual vertigo. His installations can also be read as a portray of biting social criticism. On the one hand, his proceedings slap the current royal double morality in the face, a rightness which continues to censor our bodies and those extremities and concavities seen as “disturbing”. On the other hand, his artistic expression is a detraction from the laws that govern the functions of public and private spaces. And finally, his installations always have a light but notable political critique. His photographs are an attack on that ruling class whose strategies silence individuality and control bodies through institutional mechanisms. An example of this is Tunick’s 2016 photo session in Mexico as a critique of Donald Trump’s political campaign. In this action, he photographed 20 naked bodies turned upside down, an image as beautiful as it is shocking. However, Spencer’s art does not only function as a critique, it also distills a strong sense of humanity. These naked bodies, stripped of their identity, unite in a total knot. For a few hours, this multitude becomes the soul city. Because the metropolis, in the artist’s installations, is the true protagonist character. The squares and the great empty avenues put their architecture at Spencer’s service, so that he can fill them with a poetic and heartbreaking meaning. As if they were survivors of a catastrophe, the bodies shown read as a metaphor for a humanity that reconciles with its animal side and which recovers its herd instinct to conquer what legitimately belongs to it. On the other hand, Spencer’s relationship with Spain has been consistenly enriching and he has recurrently expressed his interest in returning to work in our country to the press. His only two national installations took place in 2003 in Montjuïc (Barcelona), where he photographed almost 7000 bodies, and in 2007 in San Sebastián, where he captured the image of 1200 people in Moneo’s famous cubes. This March he will visit Valencia with the intention of composing a new installation. The city of the river Turia has suitable spaces to receive the artist’s ideas. We could also reflect on the consequences of Spencer’s presence in the cities where he works. We are not only referring to repercussions at an artistic level, but also at a touristic and economic level, since followers from all over the world follow Tunick’s call wherever he is. Those locals who wish to accept the invite and participate in the installation may do so by filling out the form available on the Intramurs website before March 15. Participants will receive a numbered, sister-in-law copy of the photograph taken by Spencer as a souvenir of the experience. In short, Spencer Tunick’s art goes beyond what can be seen to the naked eye. It takes about an hour to take a photograph. Therefore, the important act is not only the final representation, but the ritualistic necessary to get to that point. During that hour his function is to capture the soul of a city and decode its language, and he achieves this not only by aligning naked bodies, but also by synchronizing with the energy and geometry of the urban space itself.